The mysterious object known as WT1190F met its fiery demise over the Indian Ocean on Friday the 13th after creating a media buzz across the Internet. 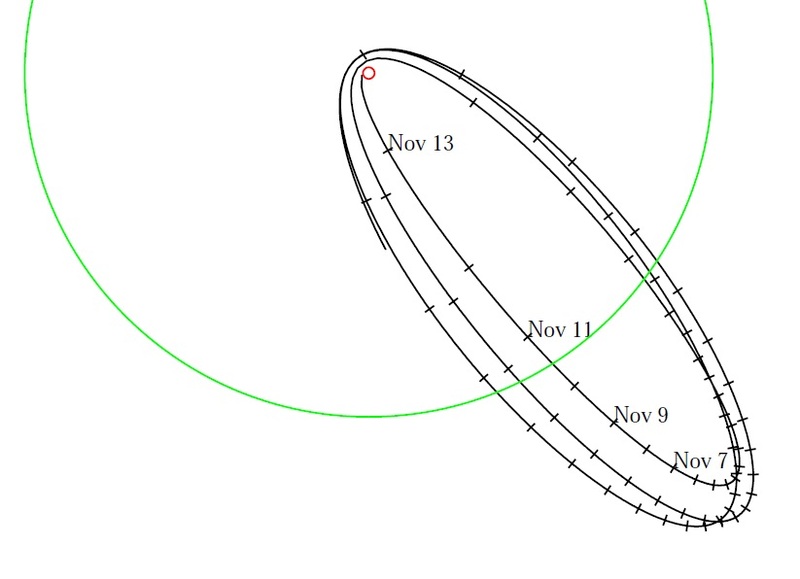 Having been nudged from a highly elongated orbit around Earth that stretched to twice the distance of the Moon, WT1190F entered a collision course with Earth a number of weeks ago and was tracked by observers around the world as it made its speedy approach. With its size estimated to be no more than a few meters and its re-entry location precisely known in advance, WT1190F posed no risk to human life or property, but it presented a welcome opportunity to researchers studying the dynamics of high speed atmospheric entry. The as yet unidentified object was first discovered by the Catalina Sky Survey in February 2013 as part of a regular search for Near Earth Objects that may be coming dangerously close to Earth. Due to its small size, the object was lost again when it ventured out in its elliptical orbit. It was again briefly tracked in late 2013 before being recovered last month when its path had been altered by the Earth and Moon’s gravity, setting it on a course for re-entry. 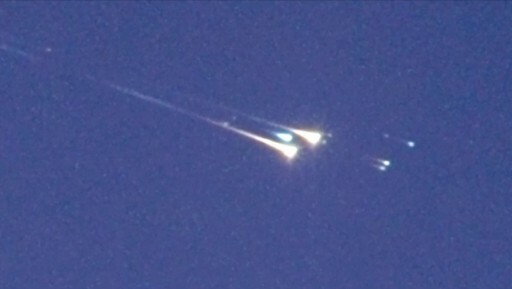 A study of the object showed it to be relatively light as its path through space was influenced by the minute forces of solar radiation pressure, indicating that WT1190F had a very low density. This confirmed its origin as a human-made object that lingered in the Earth-Moon system for years, possibly decades. Likely candidates for the object are spent rocket stages from past Soviet missions to the Moon, rocket stages or panels from the Apollo missions, spent rocket bodies of the Lunar Prospector or Japan’s Nozomi probe. Light curve data was collected but the faint nature of the object did not allow an identification up until its fiery re-entry. Researchers went back in their observations and found the object was present in 2009 and may have been in the Earth-Moon System for several years prior to that. Another option could be that it was ejected out into an independent orbit around the sun and re-captured by the Earth-Moon duo some time before 2009, further broadening its potential origins. 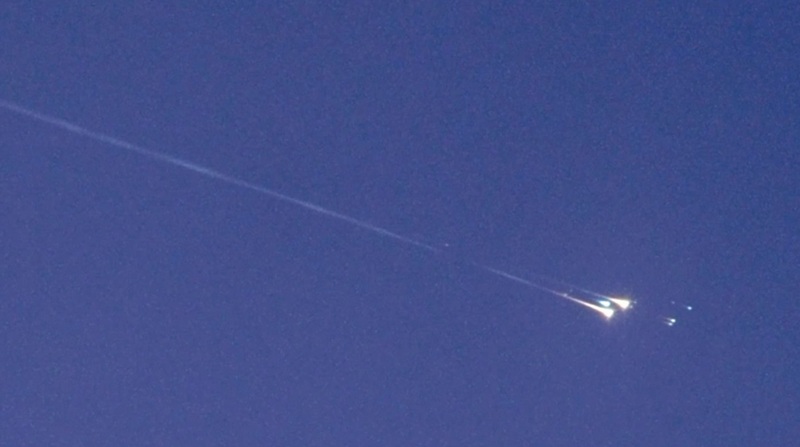 Tracking of the object showed it would come back to Earth on Friday the 13th, traveling west to east across the Indian Ocean and dipping into the dense layers of the atmosphere just south of the island of Sri Lanka. 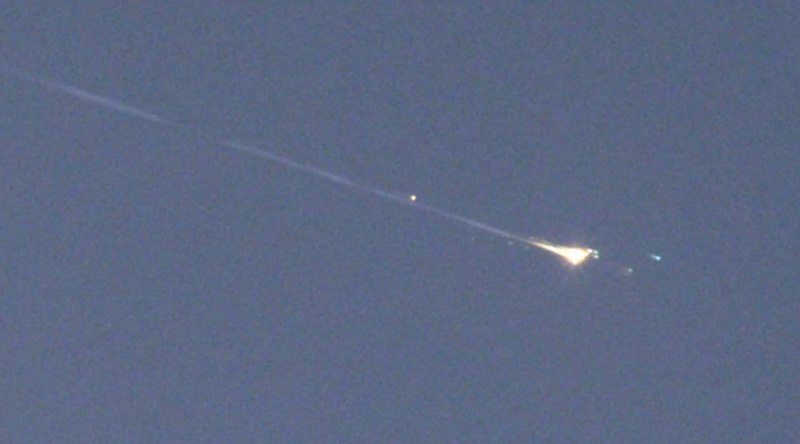 Tracking data was refined over the past several days to precisely pin point WT1190F’s re-entry time (i.e. it passing 100km in altitude) for 6:18:34.3 UTC +/-1.3 seconds. 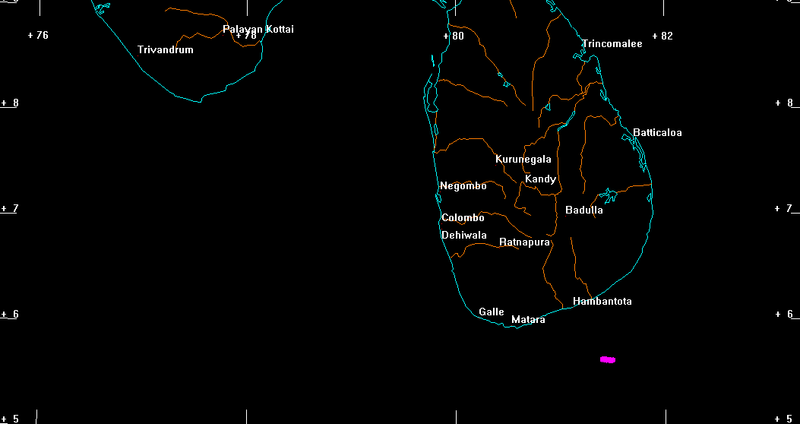 Early on Friday, a Gulfstream 450 jet took off from Abu Dhabi and entered a course to a no-fly zone south of Sri Lanka that had been set up for the mystery object’s re-entry. Circling above a thick cloud deck, an international team of researchers occupied the five windows of the jet that were filled with video cameras as well as spectrographic equipment to capture the signature of the re-entering object. Rigged with laboratory equipment, the aircraft began circling the area while the team worked out the final timing and location updates to be in the perfect spot to capture the event that was expected to last only little more than a handful seconds. Slamming into the atmosphere at a speed of 11 Kilometers per second and a steep entry angle of 20 degrees, WT1190F became visible as a plasma formed around it, caused by molecules and atoms being broken up into ions. Hitting denser air, the speeding object compressed the air in front of it, creating a shock wave layer in which temperatures rose to the extreme. Drag very quickly built up to a destructive force and WT1190F quickly began breaking up into pieces that were incinerated by the extreme thermal environment and deceleration forces up to 20 Gs. The visible portion of the re-entry lasted around five seconds. The initial imagery provided by the airborne observation campaign show the object breaking up into two brighter/larger pieces and a number of smaller fragments. One of the brighter fragments remains visible slightly longer than the rest which could suggest that it was of a more dense construction which is the case for pressurant tanks or rocket engines. 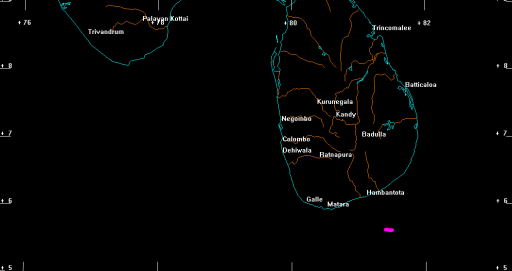 Observers in Sri Lanka who were not treated to a view of the re-entry due to clouds reported hearing a boom around the time of the event which may have been the sonic boom from WT1190F. Aboard the aircraft were five observation teams. Peter Jenniskens of the SETI Institute and NASA Ames Research Center had a setup of 11 staring cameras with a wide field of view along with two spectrographic instruments to capture the re-entry in case the instruments with a smaller field of view failed to capture the event. 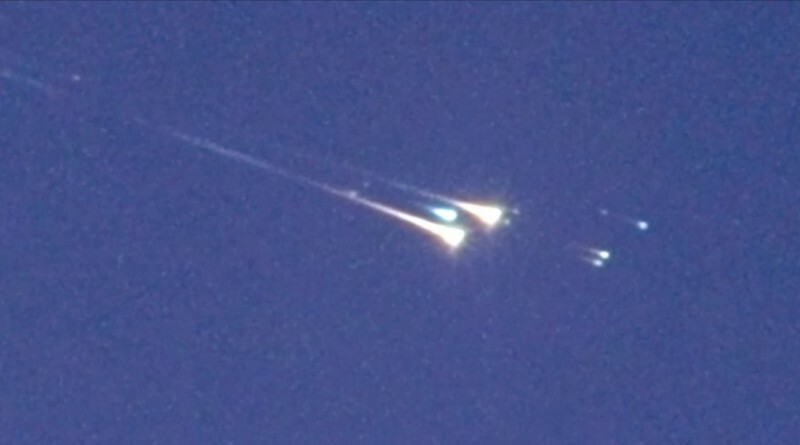 A team from the United Arab Emirates Space Agency pointed a narrow field imager at the object for a study of the fragmentation of WT1190F. The International Astronomical Center also used wide-field cameras and a spectrographic imaging instrument to document the high-altitude break-up of the object. 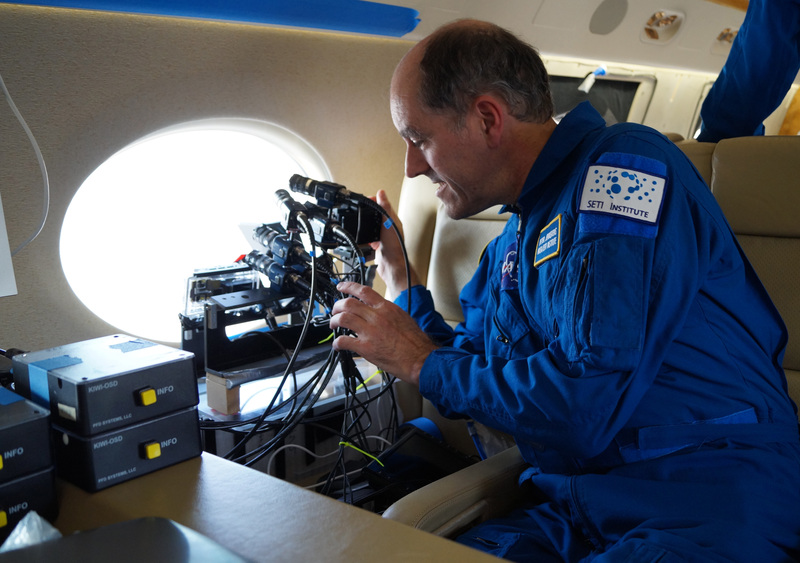 At team from Embry Riddle Aeronautical University was tasked with zooming in to attempt to capture video and spectral data that could help in the identification of the object. A German team had an optical fiber-fed Echelle spectrograph at the ready to gather additional spectral data. The review and analysis of data will take a number of weeks and will yield interesting insights into the entry dynamics of objects, of natural origin or human-made, entering the atmosphere on asteroid-like trajectories. Spectral data may also be used to identify the composition of the object and help identify it.